Example of Using sAPL SVO (DOS Aux. Processor) to create a text file. This is a simple example, where the "DOSFILES.SAW" sAPL workspace (in the APLDATA subdirectory), is used to create a simple text file. sAPL was originally built to run on mainframes, and made use of "Auxiliary Processors". 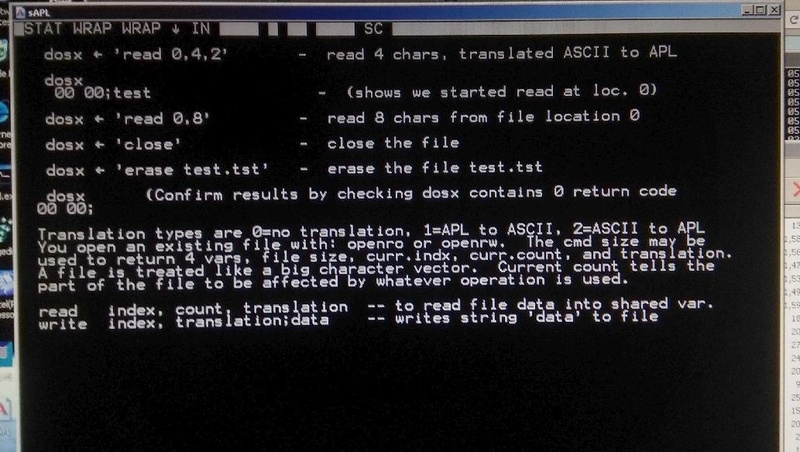 For the P/C version of sAPL, the "DOSX - DOS Interface Auxiliary Processor" was developed, which allowed DOS text files to be created and read. A simple 8 line function, "writetabletotextfile" shows how an sAPL character table can be written to a text file. By default, this file will be in the APLDATA subdirectory, created in whereever the sAPL code is installed to. In the case of a jailbroken iPad, this would be in the /var/mobile/Documents/SAPL/APLDATA directory, because the DOSpad application uses /var/mobile/Documents as its mapped "c:" disk. The screenshots here are from a Windows session running sAPL, but it should look the same on the iPad. 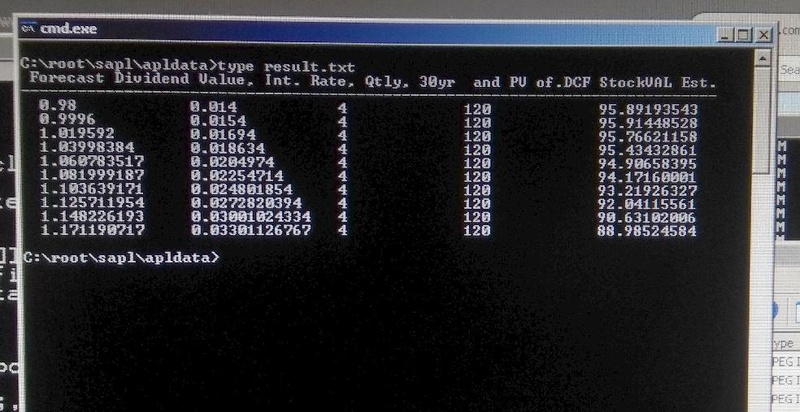 sAPL Workspace "DOSFILES.SAW" can be used to write text files. DOSFILES Workspace - explains using SVO to setup "dosx" shared variable. 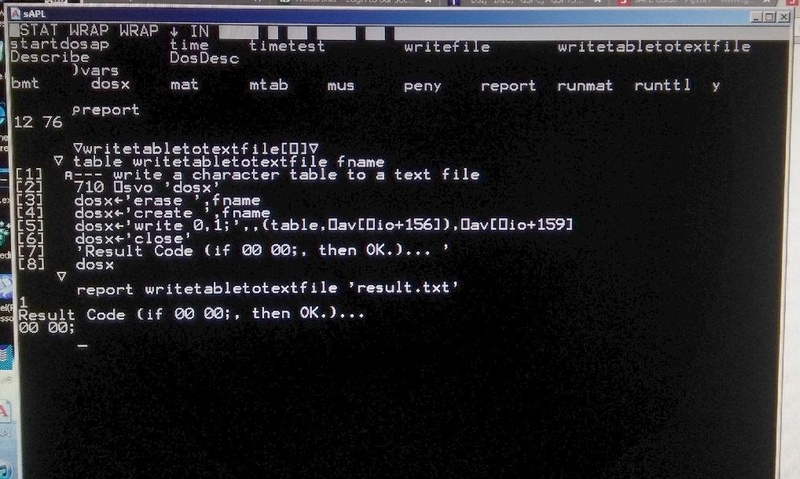 Sample function: "writetabletotextfile" writes an APL character table to a DOS text file. Resulting Text File Created by "writetabletotextfile" sAPL function.